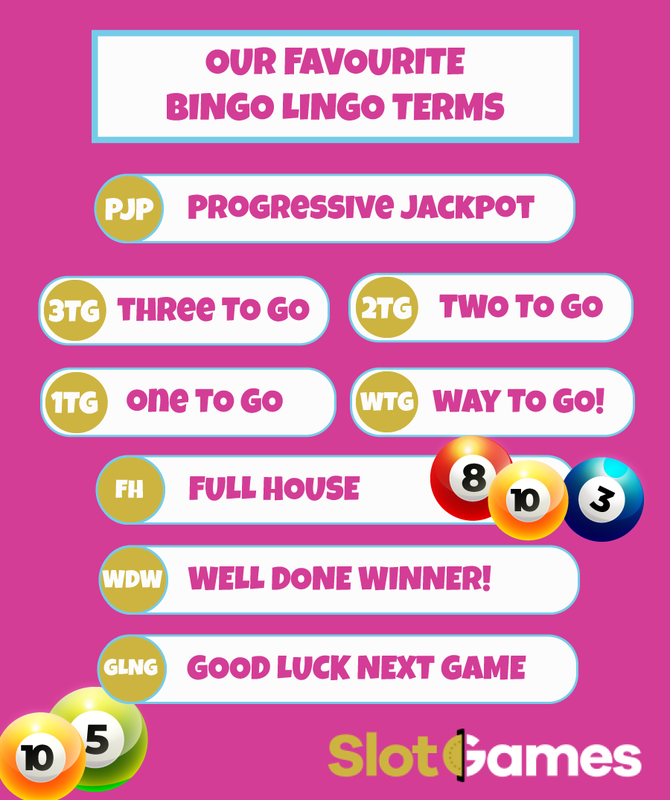 Since we now have a plethora of bingo games for you to enjoy here at Slot Games, we thought we’d help you out with some of the bingo lingo you might find when it comes to bingo chat in our rooms and beyond. You'll find that some of the seasoned players use abbreviations or much shorter phrases to be able to type things out quickly in chat. This definitely saves a lot of time but can be confusing if it’s not something you're used to. It can also be considered trendy to use abbreviations like you might if you were sending a text message, so we wouldn’t want you to miss out! We’ve prepared a list of some of the most common phrases you might encounter in a bingo chat room for those of you who are new to the world of bingo. This is for number 15. Alternatively, “Rugby Team” is another phrase that’s used for the rugby fans out there. This is for number 17. It’s of course based on the classic song from Abba. The lyrics are “Dancing Queen, young and sweet, only 17”. This is for number 22 and is one of the most famous rhymes for a bingo call. It can sometimes be called “Quack Quack” for slang too. This is for number 26. Dependent on the bingo caller, it can often be known as “bed and Breakfast”. This is because there was a traditional cost of two shillings, and a sixpence for a B&B. This is another classic and is for the number 88. This is purely based on the curves of the number 8. This is for the number 65. It’s called that as that’s the traditional age where someone may retire and start collecting their pension. This call can also be known as “Time to Retire”, or “Stop Work. Hopefully with your new-found lingo, you'll be able to get to know your fellow roomies (bingo players) in the chat room and will be shouting out your own bingo calls before you know it, so why not log in and enjoy our pay by mobile slots and bingo games.